Most observers would agree that the prevailing situation in Somalia continues to defy consolidation of strong and well-functioning state. The intractable civil war since the collapse of Siad Barre government in 1991 has resulted in the collapse of central government, and eventually in the strengthening of regional autonomous political entities whose leaderships have been loosely if at all connected to the central authority in Mogadishu. During the course of the intractable conflict, a generation has grown up which mainly identifies with its local surroundings and regional authorities and is often resistant to the far-away central government’s attempts to extend its control. The international community, headed by the powerful and interested states, wishes to maintain the territorial integrity of Somalia. This position is backed by the leadership of the Federal Republic of Somalia which, together with the autonomous entity of Puntland, refuses to consent to the formal political independence of the de facto independent state of Somaliland. Over the years, enormous resources have been spent to back the rebuilding of central authority in Somalia that is acceptable to the international community and the neighboring states. However, despite some of the recent successes the road has been long. The international effort has included wide-ranging economic, political, and military support but much remains to be achieved. This is largely because of the strong claims for gaining de jure independence in Somaliland, the protracted Islamist challenge culminating in the armed struggle waged by al-Shabaab, and the involvement of various external parties with distinct interests that result in an incoherent and contradictory intervention. Somaliland poses as the main challenge to reunite Somalia as one state. It has managed to extend its authority in many of the defiant areas in its eastern margins, including Sanaag, Sool, and Ayn. Somaliland’s strength, strategic position, and political leverage make it a daunting challenge to the central government in Mogadishu that still claims authority over the whole Somalian territory. Hargeisa’s claim for independence is real and backed by an exceptional state- and nation-building project in a neighborhood in which most states have questionable governance, political freedom, human rights records. Al-Shabaab poses as the second significant challenge to re-building stable Somalia. While the AMISOM intervention supported by US involvement has weakened the Islamist armed group, it still commands vast areas particularly in the South West State of Somalia. 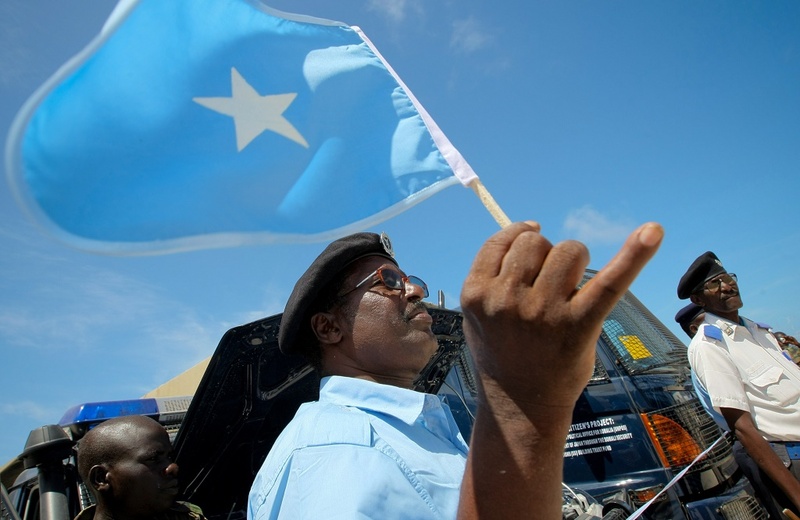 The group continues to be a threat to Mogadishu and in some of Somalia’s neighboring states. Finally, a number of external actors with different interests continue their involvement in Somalia. Despite the AMISOM intervention, not all external interested parties have the same interests in the country. While many would like to see the central government to extend its power and take control of all of Somalia, the current realities on the ground hardly support this aspiration. Various external players work with the opposition to the Mogadishu government and it is not likely that unified and strong Somalia will arise anytime soon in the foreseeable future.